Milmyeon means flour noodles. It is usually confused for naeng myun but milmyeon is made from flour while naeng myun is made from buckwheat. Milmyeon may have originated during the Korean War when the refugees gathered in Busan and made noodles from flour, which was available to them through the US army. 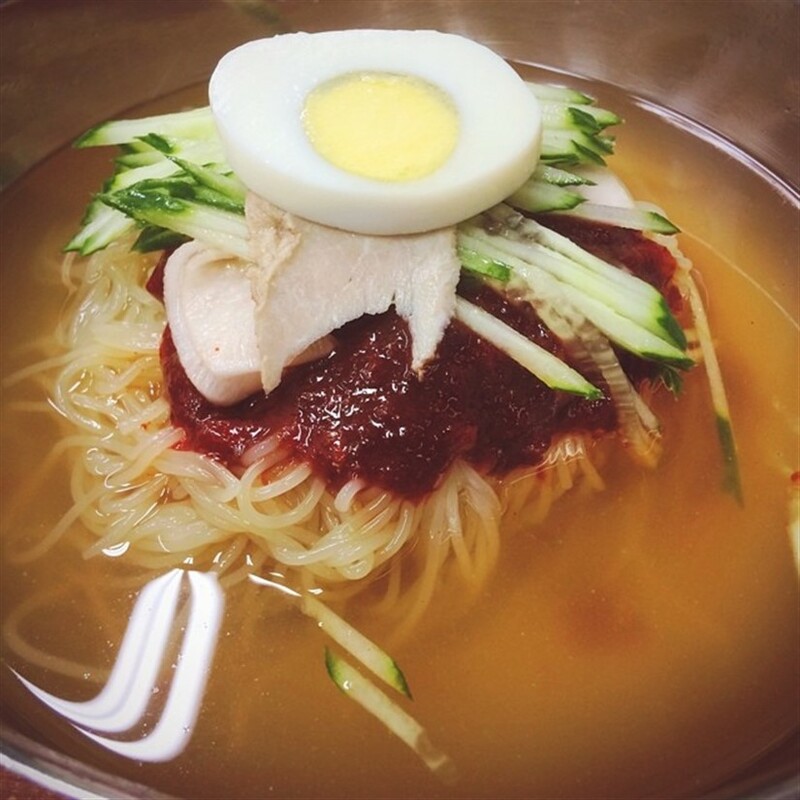 The flour noodles were then cooked with the same ingredients as naeng myun. The noodles are made by mixing flour and potato starch with meat broth. The noodles are then cooked with several vegetables to make a dish. 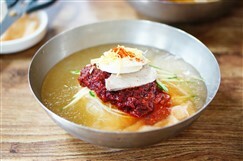 It is a Busan specialty dish and it can be experimented with, as the amount of flour is not fixed. 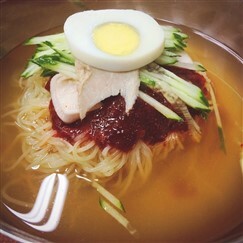 It can be made as mul milmyeon or bibim milmyeon. Milmyeon is chewier than other forms of noodles and when combined with the cold broth of mul milmyeon or the spicy sauce of bibim milmyeon, it provides a refreshing experience. I prefer naeng myun, but I like all the crunchy veggies in milmyeon. Often there is too much pepper paste for me!